The legend about how glass was first discovered centers around the chance combination of the critical ingredients plus the all-important intense heat necessary to melt them. The only problem is that if you throw the ingredients of glass into a pot and heat them, what you get is a really hot pot of ingredients that have no intention of forming glass. Even two-thousand years ago, we could not resist the allure of a story line in which a sudden discovery changed history. The truth about glass is probably a lot less dramatic and a lot more gradual. Therein lays the widely neglected and underappreciated technical innovation of frit. 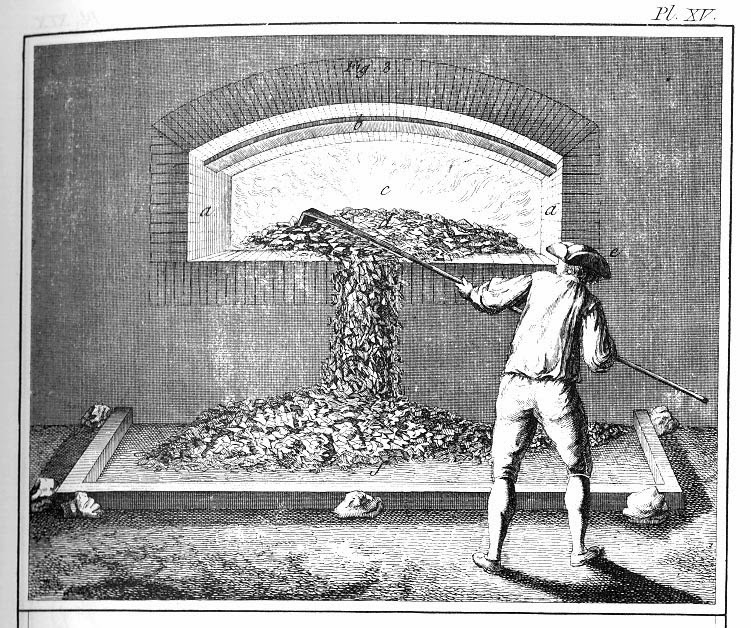 To form glass, the ingredients were first pulverized to a fine powder, thoroughly mixed, heated and raked together continuously for a long period of time. The result was then allowed to cool and sit in heaps for several weeks or months where the ingredients continued to chemically react. They formed a solid mass that was then cracked apart and often reground into a granular form again; this is “frit” and when this was heated in a crucible it did readily form glass. Frit is an intermediate product between raw materials and finished glass. It allows transparent glass to form quickly, efficiently and without being saturated with gas bubbles. It also has close ties to the formulation of ancient precursors to glass; to Egyptian faience as well as to pottery glazes and even some fired clay formulations. The implication is that glass as we know it today is the result of a gradual evolution and refinement that started with clay pottery, but there simply is not enough evidence to draw such a conclusion. Frit falls into a grey area of technical history where we do not have enough information to form a narrative and therefore there is no ‘story’ to latch onto. As a result, frit has taken a place on the sidelines. All we have is tantalizing clues from the chemical analysis of archaeological finds. 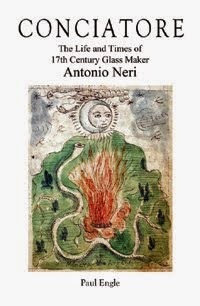 Nevertheless, by the time Antonio Neri came along in the early seventeenth century, fritting was a standard intermediate step in making glass, a necessary step, and Neri left us a detailed, coherent account. Neri is recounting long tradition here, possibly extending back to the Roman Empire. Frit is a necessary and deliberate step to the reliable production of glass. It speaks to a significant specialization within the glass industries of antiquity. When we look for similar activity we find occupations like the making of cement by roasting seashells or limestone for long periods. This is perhaps a clue to the introduction of lime, the third ingredient necessary for glass. In modern parlance “frit” is most often used to describe finished glass that has been crushed for various artistic purposes.